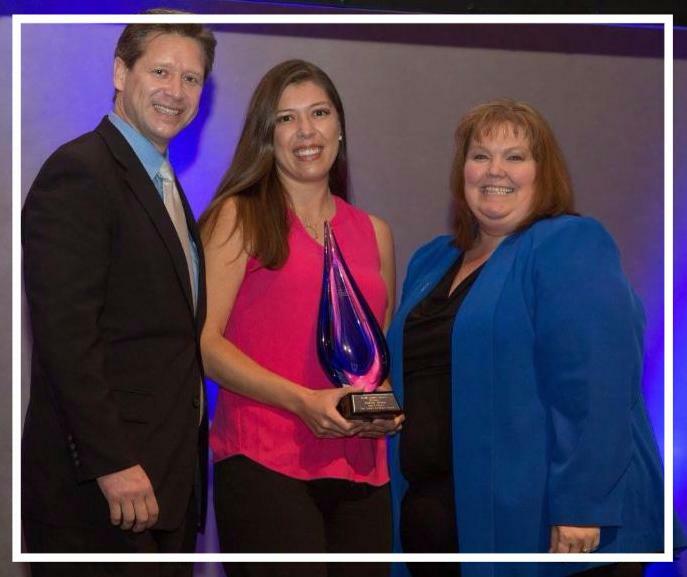 Healthy Families America (HFA) recognized Kim Thomas, Project Director, with the 2016 Service Excellence Award in the category of State Leader. 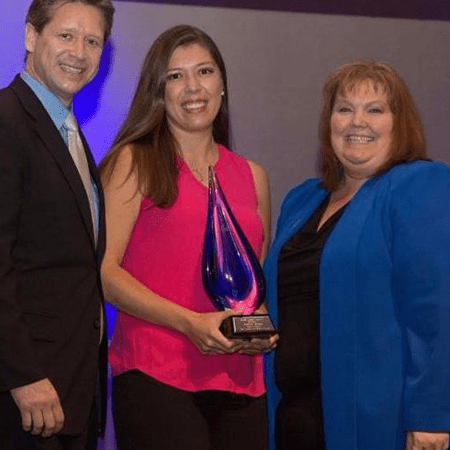 The HFA Service Excellence Awards recognize program staff of unique abilities and dedication to HFA and to the families within their communities. Kim was recognized for her strong organizational leadership in launching the First Steps program, as well as for her interpersonal skills in fostering strong, trusting relationships with more than 60 project staff. The award was presented in Cincinnati, Ohio on October 17th, on the first day of the 2016 HFA National Conference for America’s Children. Kim Thomas and Luis Lechuga, also presented on a panel about their work in supporting First Steps through HFA accreditation. HFA National recognized the commitment and collaboration that makes the First Steps Multi-Site system a standout system.